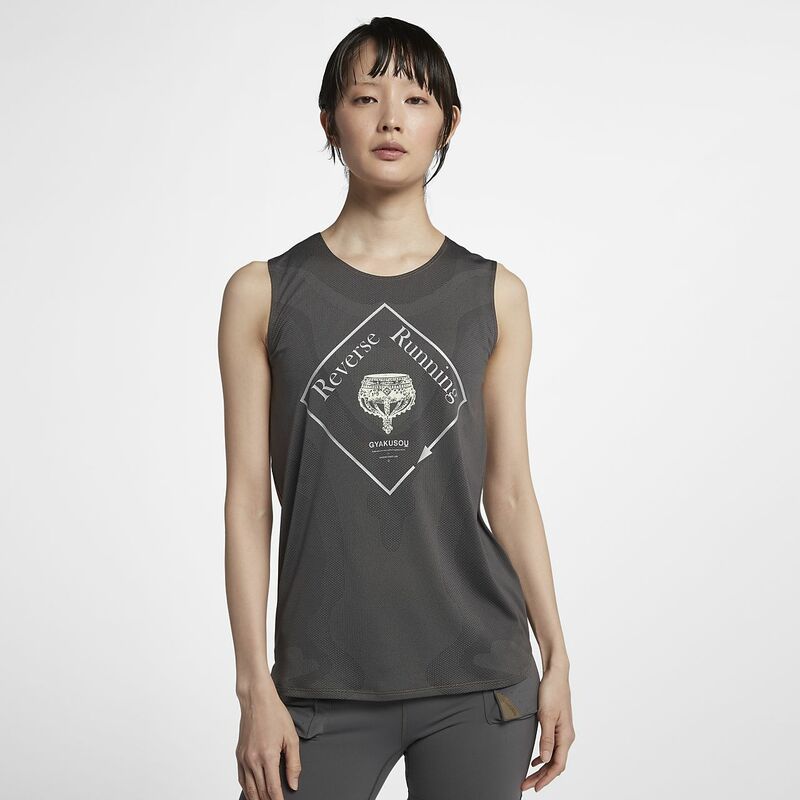 The NikeLab Gyakusou Women's Tank Top is powered by sweat-wicking technology to help keep you comfortable and focused on your run. Japanese designer Jun Takahashi's fashion aesthetic includes a glow-in-the-dark crown graphic on the front. The NikeLab Gyakusou Women&apos;s Tank Top is powered by sweat-wicking technology to help keep you comfortable and focused on your run. Japanese designer Jun Takahashi&apos;s fashion aesthetic includes a glow-in-the-dark crown graphic on the front. Have your say. Be the first to review the NikeLab Gyakusou Dri-FIT.